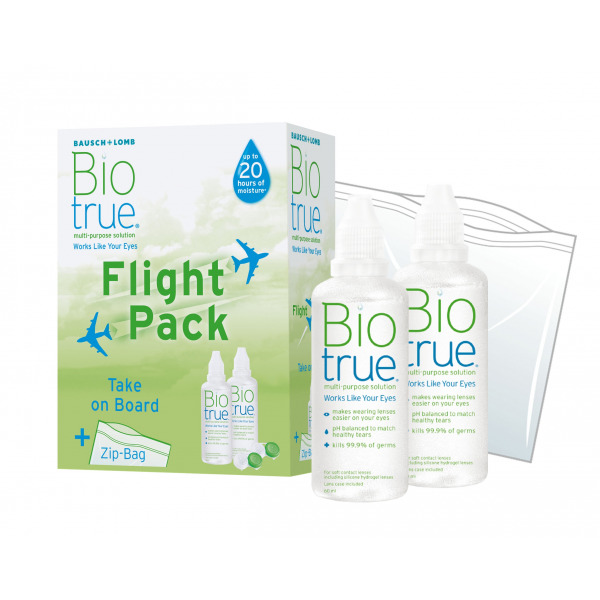 Biotrue contact lenses liquid cares, cleans, removes protein, disinfects, rinses, stores, using a lubricant that exists in the eyes, and has a balanced pH to match healthy tears. It includes a contact lenses case. 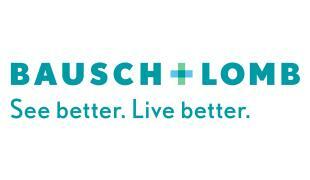 Biotrue helps make wearing contact lenses easier on your eyes.1 It's formulated to work like your eyes. Biotrue hydrates your contact lenses in the same way that your eyes naturally hydrate – by utilizing hyaluronan (HA), a lubricant found throughout the body. 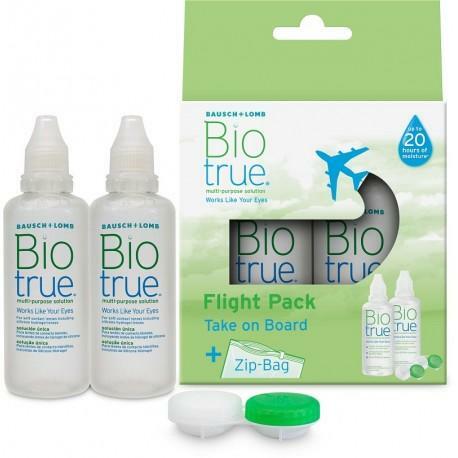 Biotrue keeps proteins in their native state active as they are naturally in your eye. They act as the eye’s inborn germ-fighters, carrying out antimicrobial activities on their own. 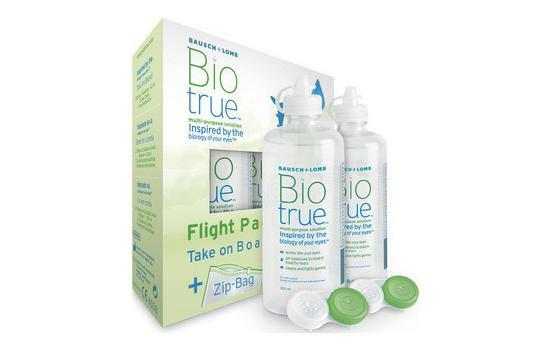 Biotrue also lifts and removes denatured proteins – those that have lost their structure due to factors such as external stresses. 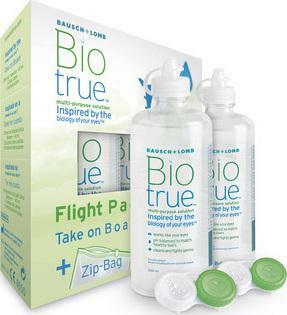 9 OUT OF 10 PEOPLE prefer Biotrue over their usual solution.